Eurodesk is an international nonprofit association created in 1990. As a support organisation to Erasmus+, Eurodesk makes information on learning mobility comprehensive and accessible to young people and those who work with them. With a network of national coordinators connected to over 1000 local information providers in 36 European countries (with Serbia joining in March 2019), Eurodesk raises awareness on learning mobility opportunities and encourages young people to become active citizens. Eurodesk is the main source of youth information on European policies, mobility information and opportunities. 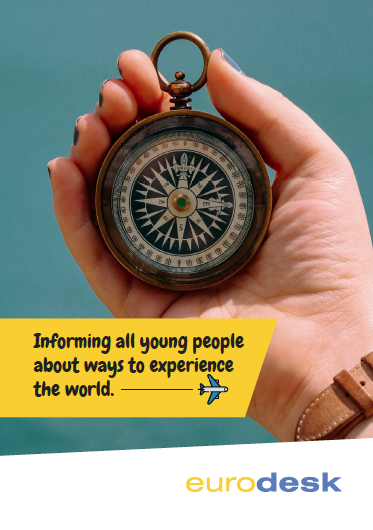 It answers enquiries and provides guidance for mobile young people across Europe. 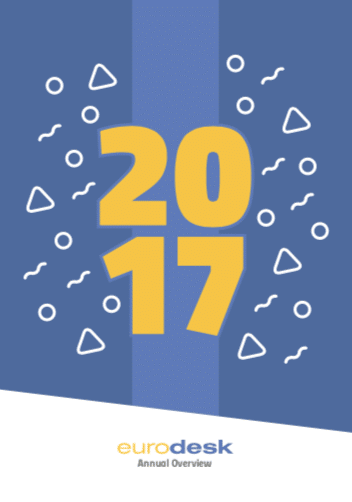 Eurodesk updates and manages content on the European Youth Portal, it also answers enquiries coming from the Portal. Eurodesk federates around 1000 local youth information providers, so-called “multipliers” that are regional or local organisations working with young people, delivering youth information to them and advising them on mobility opportunities. Multipliers can be youth centres, associations, municipalities etc. but despite their variety, the core of their mission as Eurodesk multipliers is the same. 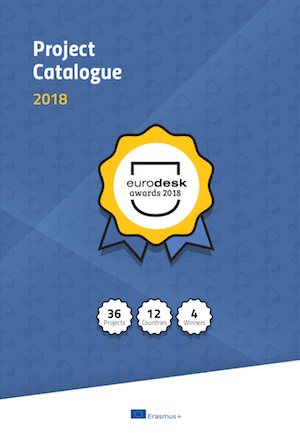 To ensure the quality of services in all the 36 Eurodesk countries, Eurodesk offers its members quality training and support, and access to youth information services and tools. It all started in 1990... Get to know the story behind our organisation! Eurodesk is administered by an Executive Committee (EEC) consisting of at least 5 and at most 7 Executive Committee members, of whom one is the President. The EEC is the governing body of the network with a mandate to plan the direction which the organisation should take, and the activities and campaigns it should carry out both at European and at national level. The members of the EEC also have a role in building partnerships with other organisations, whenever it is in the benefit of Eurodesk. Get to know the Executive Committee. What is Eurodesk Brussels Link? Eurodesk Brussels Link (EBL) is the coordinating body of the network and also the managing body of the Eurodesk brand. Its role is to give support in carrying out the mission of Eurodesk in the different countries and facilitate communication about the the ongoing projects both internally and to the public. EBL therefore regularly issues publications and initiates and coordinates European level campaigns and activities that are then carried out in the 34 Eurodesk countries. EBL also provides first-hand European information on youth mobility as well as tools for training, information management, quality assessment and communication to the Eurodesk officers in the various countries. EBL supports the European Commission in developing and maintaining the European Youth Portal, regularly editing European contents, assessing the quality of Eurodesk national centres and giving them technical support. Get to know Eurodesk Brussels Link. What are national coordinating offices? There are 38 Eurodesk national coordinating offices in which national coordinators work together to carry out Eurodesk's mission at national level. National coordinators provide support to multipliers to organise their events, as well as channel youth information to them. At national level, the coordinators manage the European Youth Portal, and organise national events and campaigns. National coordinators release publications and communication materials whenever it is appropriate. Some national coordinators communicate regularly to young people through events, some do not. This depends on the national structure they work in. In any case, national coordinators answer the enquiries received from young people from the same country. 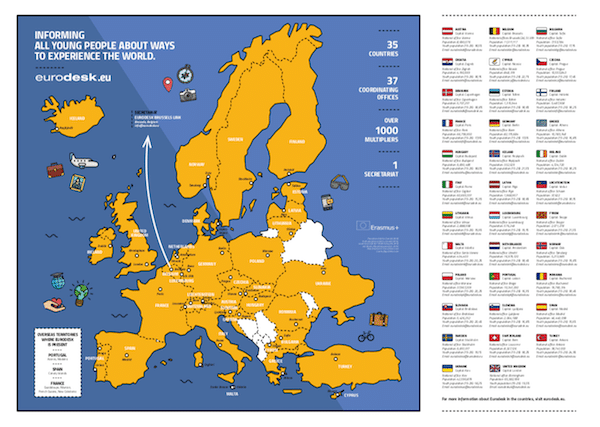 There are over 1000 Eurodesk multipliers in 36 countries all over Europe. Multipliers are local organisations (e.g. youth centres, associations, municipalities) but despite their variety, their core mission remain the same. As one of the most important tasks within the structure, multipliers maintain a face-to-face connection with young people through events and campaigns they organise. Multipliers are the body in the system who make sure that the mobility information collected in the network reaches young people who then through the work of multipliers receive youth information and counselling based on their personal profiles. is to raise awareness among young people on mobility opportunities and to encourage them to become active citizens.